Cavemantraining welcomes onboard Dr. Gregory Ellis, PhD, CNS (Certified Nutrition Specialist). As we all know, optimal nutrition plays such a huge part in our training, without it we don’t recover properly, or get the gains we’re after. Dr. Gregory Ellis is joining our online community, we’ll be looking at integrating parts of his expert knowledge on this matter, and spread the accurate facts about nutrition so that the Cavemantraining community will have a sound footing for their dietary needs. Make sure you follow our Facebook to stay up to date or join our newsletter. You’ve heard the expression, “we are all so different.” If this was true, then there would be no textbooks of biochemistry or physiology. We do vary in the way we work but we are not that different. Let’s start with a fundamental fact of biochemistry. Most people want to optimise their production of energy. Fat is the primary fuel of the body, not carbohydrates. This is a fundamental mistake that people make. Even some of the “experts” make the same error. I want to describe the dangers of current day weight loss programs. Obesity and obesity-related disorders such as type 2 diabetes, hypertension, and cardiovascular disease are epidemic in Western countries, particularly the United States. The conventional wisdom holds that obesity is primarily driven by a prolonged positive energy balance, i.e. too many calories ingested and too few calories burned. Although this belief explains the fundamental basis of obesity in its simplest terms, a complex set of physiological interactions are necessary to move body weight outside of its normal range. We’ve learned during the last decade that obesity is not simply a product of overeating and lack of exercise. Instead, the accumulation of fat or release of fat from adipose storage depots is controlled by a variety of factors. the number, size, and metabolic activity of adipocytes (fat cells). and the most important; persistent organic pollutants (POPs). Obesity is the result of a prolonged disturbance in the homeostatic regulation of energy metabolism that favors fat storage and fat cell growth. The number of adipocytes is also greater in obese individuals, implicating increased adipogenesis (fat making) or hyperplasia (fat cell number) as contributing to fat mass. Conventional medical wisdom holds that obesity can be prevented or treated by simply reducing caloric input and increasing physical activity. However, it is also quite clear that, despite unprecedented public awareness of the obesity epidemic, relatively little progress has been made in combating obesity in the Western world. The modern Western lifestyle with an abundance of energy-rich foods and decreased physical activity may be exposing underlying genetic and environmental factors that alter our ability to correctly regulate weight. The environmental obesogen hypothesis proposes that changes in metabolic signalling, resulting from exposure to dietary and environmental chemicals, may further exacerbate the effects of imbalances in diet and exercise, resulting in an increased susceptibility to obesity and obesity-related disorders. Plasma organochlorine concentration increases with weight loss and is related to the magnitude of lost weight. Future research will determine if: 1) this pollutant concentration remains elevated over time and 2) if there are long-term effects of a high concentration of this toxin on health. OK, many studies now show that plasma (blood) concentrations of organochlorines increase with weight loss and this increase relates to the initial fat mass and to the rate of weight loss. People undergoing gastro bypass surgery had a 51.8% increase in organochlorine concentrations. Organochlorine is well-known to increase the chance of getting diabetes. This data indicates that the most popular weight loss plans that advertise fast weight loss have a big downside. Many of the weight loss supplements that promote losses of a pound or two per day are doing a great disservice to consumers. Cavemantraining and I want to take a leadership role in promoting the above ideas and take his followers down a road that is not now in anyone’s crosshairs. Wellness Coaching Specializing in Helping People with their Health Issues. I use an Integrated Approach with Many Disciplines including Homeopathy, Acupuncture, BioEnergyMedicine, Nutrition, Diet, and Exercise. I am the Author of many Books in the Health, Wellness, and Fitness Field that include Diverse Topics such as Weight Control, Anti-Aging, Diet (particularly low-carbohydrate eating), and Exercise. 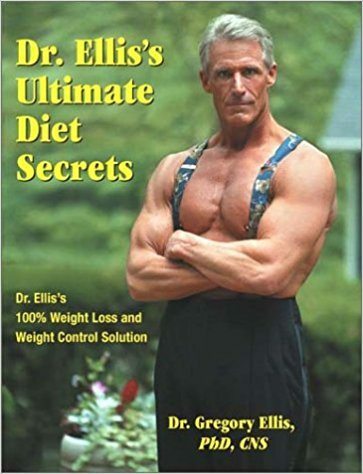 Most recent book is Dr. Ellis’s Foolproof Weight Loss which implicates persistent organic pollutants as one of the major causes of obesity, diabetes, and major metabolic diseases (see above). I’ve Developed Cutting-Edge Nutritional Supplements and Evaluation and Health Assessment Programs for Monitoring Purposes. I have on-line e-courses on my website to train personal trainers, health coaches, and life coaches in advanced strategies that they can use personally, or with the people they coach. Your thoughts below or on this Facebook post here. Shout out if you want to be part of a Q&A with Dr. Ellis. I detail this in my book Net Carb Scam.